"The Sunflower River Blues and Gospel Festival dedicates its 31st anniversary to two of our own musicians whose rich talents and personalities have contributed to the festival’s unique identity as one of America’s most authentic celebrations," says chairman Melvita Tillis Presley. 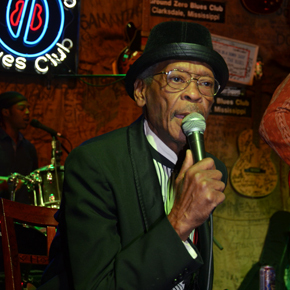 Both musicians passed away during the 2018 spring season: Stewart in a Memphis Hospital on April 21, and Veal in Clarksdale on May 8. "Josh’s ‘AhHa’ stage presence and crowd appeal as a vocalist, his tradition of welcoming young musicians to join his shows, and his outgoing personality off-stage made him an ideal ambassador," continues Presley. Festival booking chairman Maie Smith estimates Stewart performed 15 consecutive years on the Sunflower stage. Jim O'Neal, co-founder of Living Blues magazine and also the Sunflower Festival pays tribute to both as important members of the Sunflower family and recalls a very early Stewart performance that ended with Josh being swarmed by screaming female fans. Describing C.V. Veal as "Clarksdale's answer to Rufus Thomas," O'Neal adds with a smile: "As a band leader in the 70s C.V. kept things going; he was the soul of information despite his introducing me once as a writer for the New York Times." 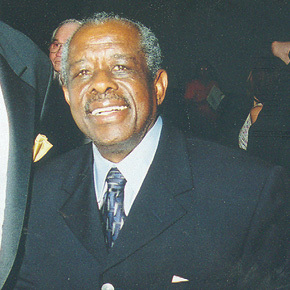 Not only was C.V. an ebullient emcee and “the face of our blues festival” for many years, his magic smile traveled effortlessly to the gospel stage as a favorite member of the Chapel Hill Men's Chorus,” he continued. Stewart and Veal and their families will be honored at 7:45 p.m. Saturday, Aug. 11, on the main stage. Participating will be Stewart's daughter, LaTrena Hayes, and Veal's celebrity television fitness guru son, "Pepper" Von Veal from Sacramento, Calif., author of "From God, Through Me, To You."